Ask not what your C.E.O. can do for you, but what you can do for your C.E.O. 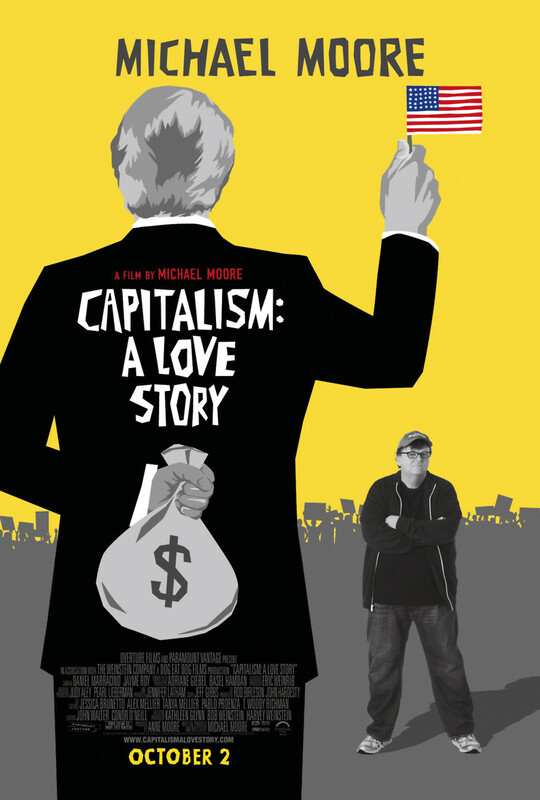 Michael Moore investigates the negative effects capitalism has on the lives of everyday Americans. He examines various cross sections of the nation, from corporations in Manhattan to ordinary folks in Middle America, and exposes how capitalism has shaped the way most Americans live. The dark side of the love story is exposed as he paints a picture of a struggling middle class. The why of the dark side is unearthed, and an answer for a brighter future is revealed.